Chandra Asri Petrochemical and SMI are the leading suppliers of petrochemical product to various Indonesian manufacturing industries. 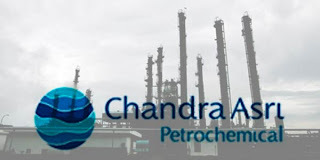 Chandra Asri Petrochemical (CAP) facility at Ciwandan, Cilegon in Banten Province is Indonesia's premier petrochemical plant incorporating world class, state-of-the-art technology and supporting facilities. At the heart of CAP lies the Lummus Naphtha Cracker producing high quality Ethylene, Propylene, Crude C4 and Pyrolysis Gasoline (Py-gas) for the Indonesian as well as regional export markets. Bachelor degree from Chemical Engineering of reputable university. Minimum of 3 years experience in the engineering works at chemical/petrochemical process or oil & gas industry. Proficient in computer application programs like Excel, MS word, and MS Project will be an added advantage. Willing to hard work in the any kind of time and place. Have a strong technical knowledge, communication skills, English written and spoken. Bachelor degree from Mechanical Engineering of reputable university. Please send your detailed CV with contact number, e-mail address, and recent photograph within ten (10) days from the date of this advertisement to the following address. We regret that only short list applicants will be notified.